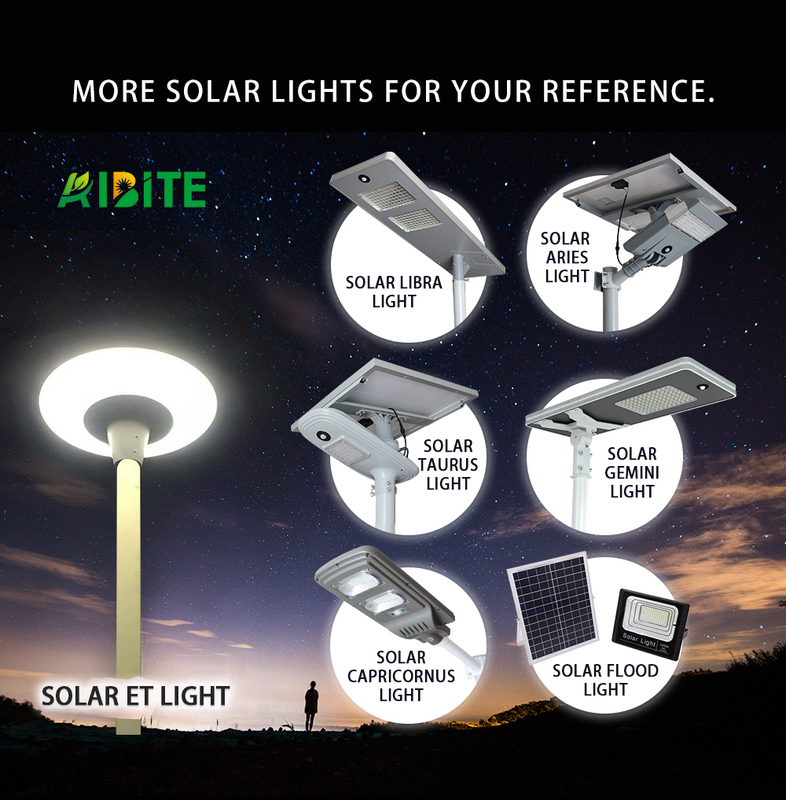 Solar Gemini lightÂ is Aibite's new patented solar product with new high technologies and R&D conception, it differs from the traditional solar flat lights, combining the most popular iPad and traditional solar flat light, presenting us aÂ brand new visual perception and lighting effects. The advantages is that it's appearance is like an iPad, and the amazing luminous efficiency which created by multiply LEDs (3030) and no use of optical lends beats almost every solar flat light, smart solar street light even. Solar iPad light absolutely will be your best choice for outdoor lighting and seizing the market. 1. Solar Gemini light is Aibite's new patented solar product. 2. It designs like an iPad, familiar appearance, quite different experience. 3. It has high luminous effect, multiply LEDs in every light, no use of optical lends,Â Â decreasing light attenuation, maximize the luminous effects. 4. Microwave motion sensor and PIR sensor are optional. 5. Easy installation in few minutes. 6. The whole light can be adjusted. 7. Using lithium battery, long lifespan, suitable for extreme weather area. 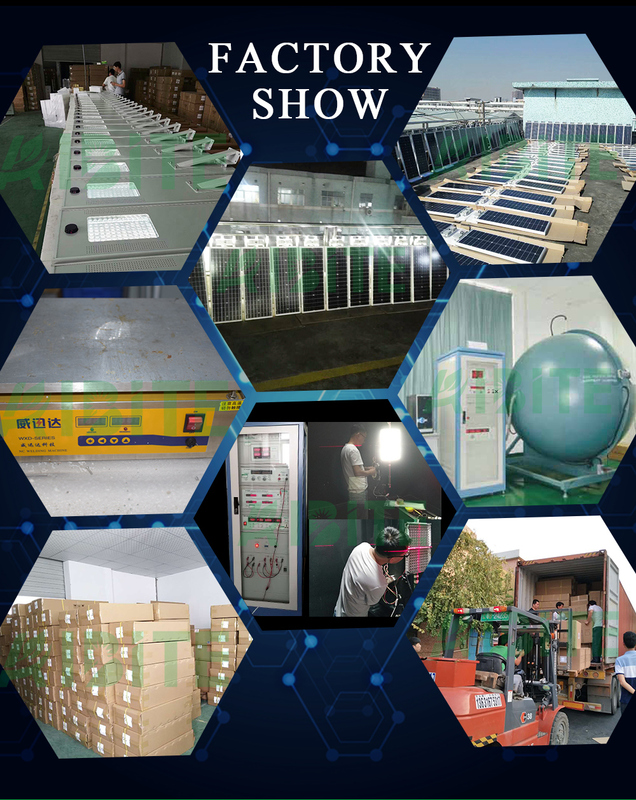 Shenzhen Aibite New Energy Co., Ltd. is aÂ manufacturer specializing in R&D, manufacturing, and sales of solar lighting products! Located in Shenzhen, the world's largest solar street light production and supply base! The company's main products are all-in-one solar street lights, solar garden lights, solar landscape lights, solar photovoltaic systems and Other solar products! 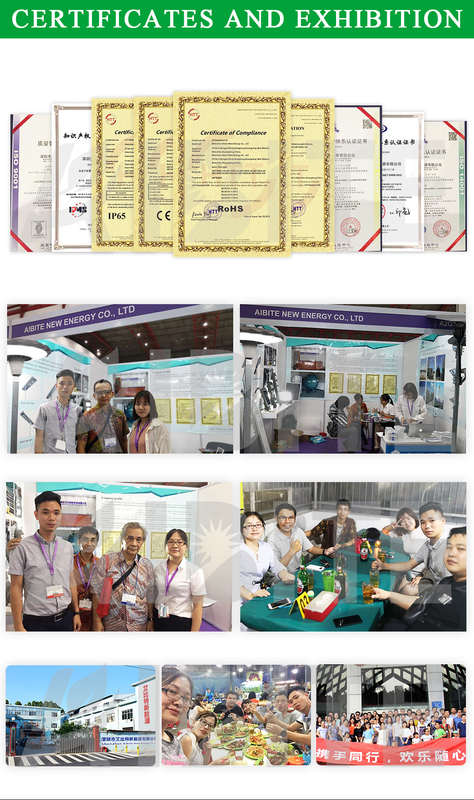 Our products have passed CE, FCC, RoHS, SGS certification. Since it's establishment in 2012, the company has been adhering to the business philosophy of "survive by quality, seek development by innovation" and high-quality after-sales service has won the full recognition of the majority of Chinese and foreign customers! 1.Â Q: Type of your company? Â Â Â Â A: Our company is aÂ manufacturer, we R&D, sale, produce our own solar products, no middleman. 2.Â Q: Can you do OEM or ODM? Â Â Â Â A: Yes, we can do them and welcome. 3.Â Q:Â Can IÂ have aÂ sample order? Â Â Â Â Â A: Yes, of course you can. Thank you for your attention!Â Â Welcome to send us inquiry for more information!